Spark Therapeutics shares more than double Monday after the gene therapy specialist agreed to a $4.3 billion takeover by Switzerland-based Roche Holding, the world's biggest maker of cancer treatments. Legal-marijuana firm surges on deal with Budweiser parent AB InBev to develop cannabis-based drinks. Some ancillary help came trickling through the door Tuesday, with possibly more on the way. 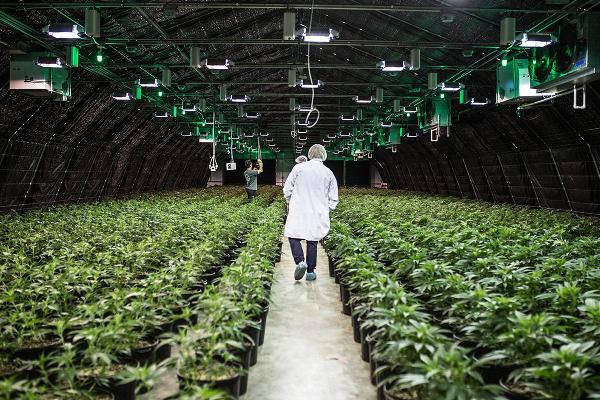 Canadian cannabis producer's stock jumps on announcement that it's teaming up with Novartis's Sandoz until to sell and distribute medical cannabis products globally.